The Four Seasons - Concerto In G Minor, RV 315, "The Summer"
The Four Seasons - Concerto In F Minor, RV 297, "The Winter"
Watch the fourth episode of Anne-Sophie Mutter's "Making Of" series in which she explains how the idea for "Club Album" started! The album is available now! Watch the third episode of Anne-Sophie Mutter's "Making Of" in which she speaks about her fans and the audience during her Yellow Lounge concerts in Berlin! The album is released on August 28. 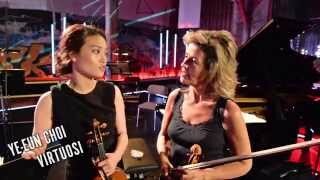 In May Virtuoso violinist Anne-Sophie Mutter created a sensation at Berlin’s Neue Heimat, recreating the impact of her legendary 2013 Yellow Lounge appearance, when she attracted one of the biggest crowds in the history of Deutsche Grammophon’s ground-breaking "classical-goes-clubbing" series. Now she’s pushing the electric atmosphere to the limit by making the first-ever live Yellow Lounge recording. 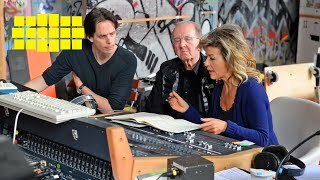 Watch the second episode of Anne-Sophie Mutter's "Making Of" in which she speaks about her collaboration with her Mutter Virtuosi on her new album "The Club Album - Live from Yellow Lounge"! The album is released on August 28. Watch the first episode of Anne-Sophie Mutter's "Making Of" introducing her her new album "The Club Album - Live from Yellow Lounge"! The album is released on August 28. 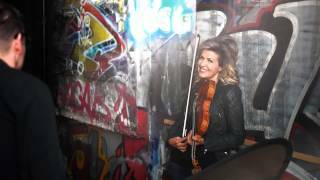 Virtuoso violinist Anne-Sophie Mutter created a sensation in May at Berlin’s Neue Heimat venue, recreating the impact of her legendary 2013 Yellow Lounge appearance. Now she’s pushing the electric atmosphere to the limit by making the first-ever live Yellow Lounge recording. 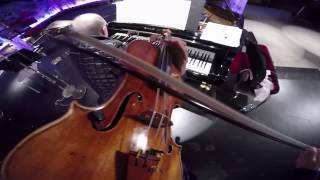 The Yellow Lounge is all about new perspectives, and so is this video that Anne-Sophie Mutter filmed with a GoPro during her Yellow Lounge in Berlin on May 7 & 8 in Berlin.